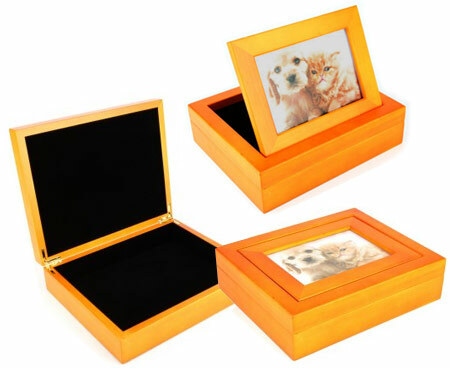 The Stafford wooden memory box or ashes urn is a luxury high quality solid wooden keepsake box urn with velvet lining and photo frame lid. High quality solid wood ashes urn or memory box. The finest quality finish with remarkable attention to detail makes this one of the most luxurious box urns available. 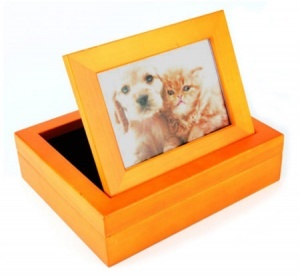 The exterior boasts smooth edges, a smooth finish and a clever photo frame mechanism that allows your pet's photo to be flat or displayed in an upright position. The interior is luxuriously lined in velvet. The ashes can be safely placed in the urn or this beautiful solid wood box can be used as a memory box for keepsake items, to treasure and remember. 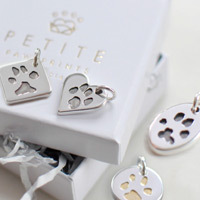 Capacity: 60 cubic inches - suitable for ashes remains of a pet body weight approx 60 lbs or 25kg (suitable for medium dogs).